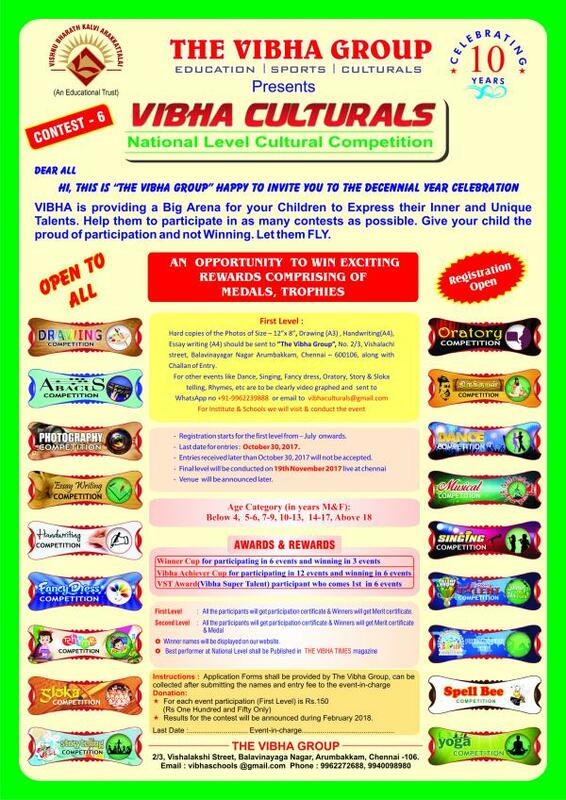 VIBHA is providing a Big Stage for your Children to Express their Inner and Unique Talents. Help them to participate in as many events as possible. Give your child the proud of participation and not Winning. Let them FLY. Age (M&F): Below 4, 5-6, 7-9, 10-13, Above 14 for all events. We invite Judges, Volunteers, & Sponsors. Donation for Trust development are accepted from Interested persons. We invite Judges, Volunteers, Stall Booking & Sponsors. 4. Payment details, copy of the Challan should be sent to our mail along with the following participant details. * lesser donor pass for all the events conducted throughout the year. * Information on Vibha events. * First option on Vibha events. What is the topic for all the competitions? Wen is the event to take place.. 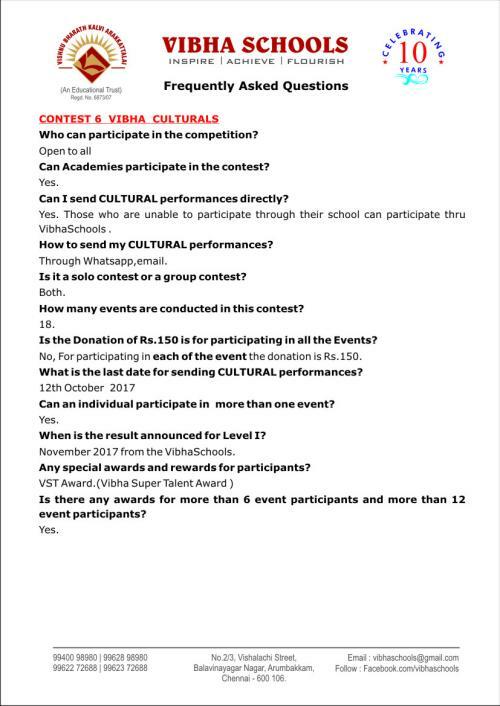 Date not specified clearly..
Vibha culturals – Great idea to motivate the children at various activity.. I would like my son 4 years old to participate in few events..